The Institute’s second excavation of 1975 was conducted near Şeytan Deresi (Devil’s Creek), on the north coast of Turkey’s Kerme Bay. 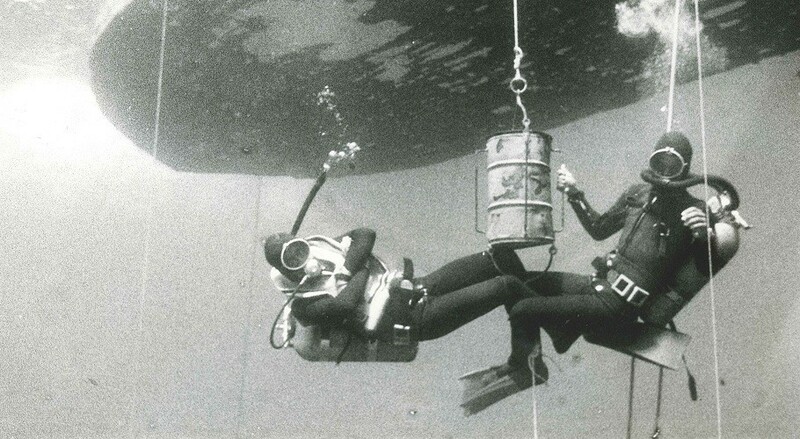 AINA (now INA) had surveyed the wreck in 1973 and raised two huge pottery vessels, along with a number of pot sherds. The site seemed untouched since then.The jars had been found at the base of a sloping field of rock outcrops and boulders. No traces of wood had been found, to obvious disappointment, nor were there any non-ceramic objects other than a fishing weight, which was not necessarily antique.This led to the belief the ancient ship capsized, for the sand was deep enough to have preserved traces of wood had there been any below the cargo. No effort was spared to locate hull remains and other concentrations of pottery. The date of the loss of the cargo is circa 1600 B.C. based on parallels to ceramics from other sites such as Beyçesultan, Troy, and Minoan sites in Crete.The shape of the two-handled pithoi from Şeytan Deresi resembles a middle Minoan spouted shape that continues, less similarly, into the late Minoan I period. 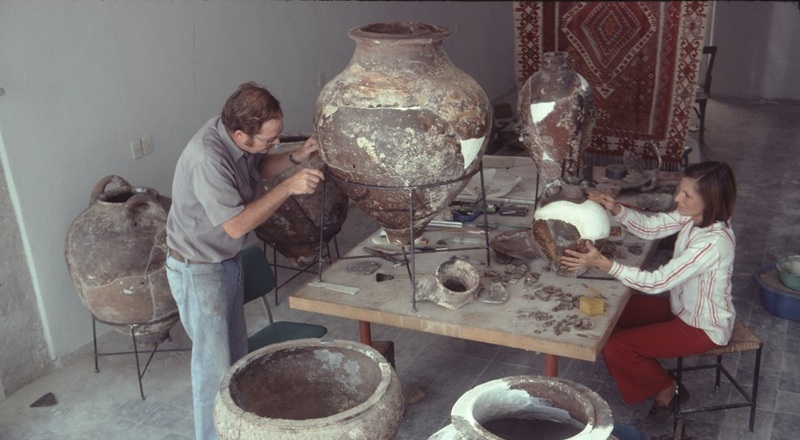 The evidence points to a date in the late Middle Bronze or early Late Bronze Age.The craft that carried this cargo need not have been large, and may have been no more than a coaster transporting newly finished jars from one village to another. This would explain why no cooking implements, lamps, and other ships wares were found. Bass, George F., “Sheytan Deresi: preliminary report,” IJNA 5.4 (1976) 293-303. Reprint available. Bass, George F., The Wreck at Sheytan Deresi.” Oceans 10.1 (1977) 34-39. Bass, G. F., “Excavation of a Pre-Classical Shipwreck (Sheytan Deresi wreck),” National Geographic Society Research Reports, 1975 Projects (1984). Reprint available. Margariti, Roxani, “The Şeytan Deresi Wreck,” in J. P. Delgado ed., Encyclopedia of Underwater and Maritime Archaeology (New Haven and London, 1997). Margariti, Roxani, The Şeytan Deresi Wreck and the Minoan Connection in the Eastern Aegean. Master’s Thesis, Texas A&M University, 1998.